Hey !! Welcome to my blog . Blue Smokey Eyes or Smokey eyes have been in trend from quite a time . This look is mostly wore in the evening time parties club parties . Blue Smokey Eyes compliment to both Western and Indian Dresses and also quite easy to do . The one thing you need to keep in mind not to over do this look as it can make you look quite scary as well if not done properly. 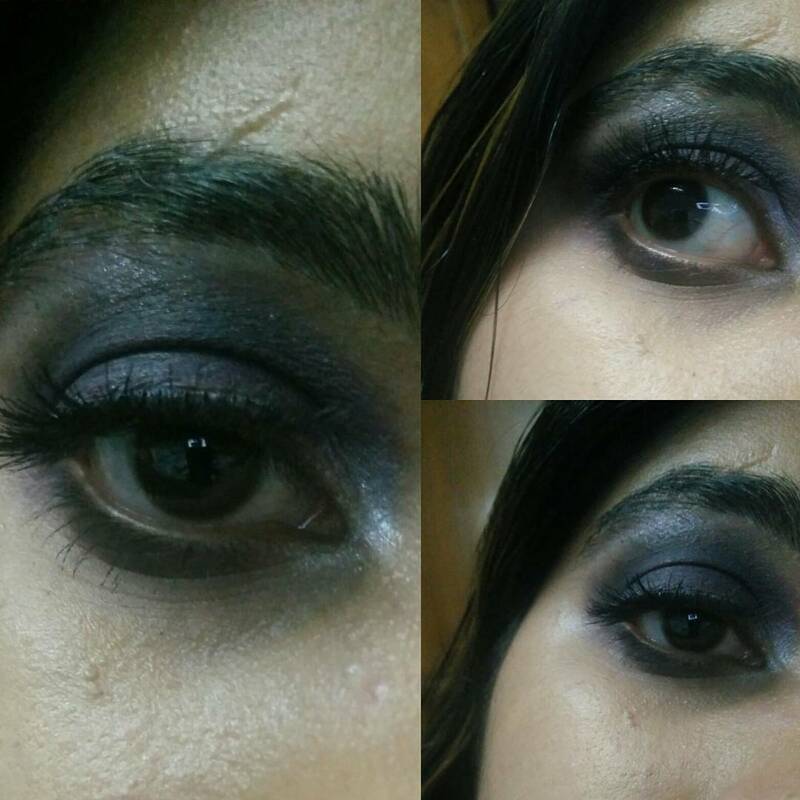 So below is the picture i have recently posted on INSTGRAM of blue smokey eyes. To master smokey eyes you should actually practice it 2-3 times before doing it on any gathering or outside . You can start learning from basic one using a kohl . I ll put a tutorial for same as well. 1. First , You need to prepare a good base for your eye shadow . This can be achieved either by using an eye shadow base or apply a concealer and set it wit compact powder . 2. Now with light hand apply black eye shadow on crease of eye lids and out corner of your eyes and blend it very well. 3. Intensify the black eye shadow more at the outer corner of your eye making a v -shape . 4. Now take a flat brush and apply the Eye shadow in Royal Color on your eye lids .Now using a blending brush blend the area where your black and blue eyeshadows merge into each other. 5. Apply some black eye shadow on lower waterline to intensify smokey look.